AIFS and XJTLU will arrange excursions during the semester to give you an opportunity to experience life outside of Suzhou. Excursions such as those listed below will be arranged and 3 will be included in the program fee. Others will also be offered during the semester. Think of Shanghai and a modern, buzzing metropolis of the tallest skyscrapers and towers comes to mind reflecting its position as China’s biggest and most prosperous city. In contrast the Old Town and the Bund, a waterfront promenade known as ‘the museum of buildings’ due to its variety of architectural styles, gives an insight into the city’s colonial past. Your visit takes in the main sites of Shanghai including the Bund, the Oriental Pearl T.V. Tower and the World Expo 2010 China pavilion. In your free time stop to enjoy the city’s mouth-watering cuisine, visit a gallery or one of the thriving markets for a spot of shopping. Includes transportation, guided tour and entrances. Visitors are drawn to Hangzhou by West Lake, frequently referred to as ‘Paradise on Earth.’ Green hills shrouded in mist, willow- tree lined banks, beautiful gardens, temples and pagodas feature in the famous ‘Ten Scenes of West Lake’ with names such as ‘Three Pools Mirroring the Moon’ and ‘Lotus in the Breeze at Crooked Courtyard.’ The city itself is a designated UNESCO World Heritage site and rich in history and culture with some stunning examples of Chinese architecture including the Six Harmonies Pagoda with views of the Qiantang River. As well as a guided tour of the main sites you will have free time to explore on your own. 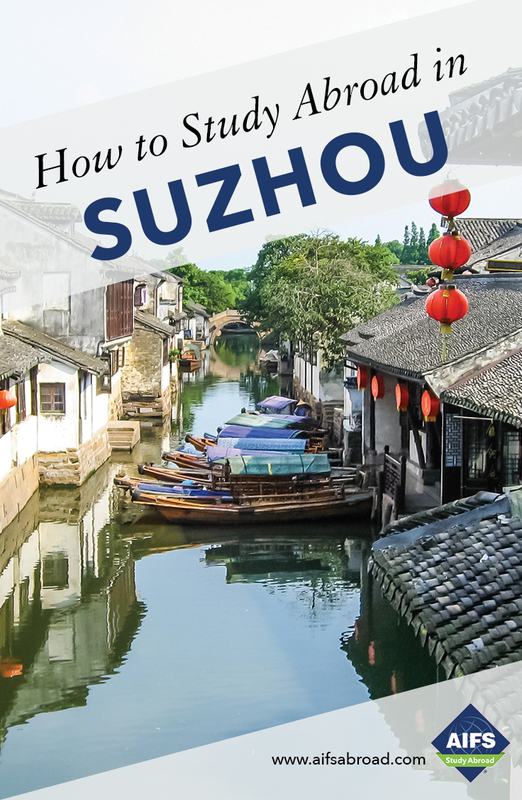 Located between Shanghai and Suzhou, Zhou Zhuang’s history dates back over 900 years with some bridges and houses built during the Ming and Qing Dynasties. Surrounded by lakes, the town’s picturesque scenery is punctuated by quiet waterside lanes, canals and ponds. The laid-back atmosphere and views make it a popular tourist destination and the not-to-be-missed sites include the Twin Bridges which from a particular viewing point look like an ancient key. Includes transportation and guided tour. Other possible excursions include visits to Taihu lake, the Zhenghu Broidery Town, and Wuxi: Three Kingdoms Traditional Garden. Each semester the trips offered may change but the program of events is designed to give students a more rounded experience of life in China. Beijing is the political and cultural center of China and a complex mixture of 21st century innovation and centuries old history. On arrival you will enjoy a guided sightseeing tour of Beijing which will include Tian An Man Square and the Forbidden City with a visit to a variety of street food locations to learn about local cuisine. On day two visit the Temple of Heaven, walk along part of the famed Great Wall of China and marvel at the views of the Bird’s nest Olympic stadium before enjoying dinner in a local restaurant. The final morning will give you a chance to travel by rickshaw along the Hutongs (the traditionally preserved area of Beijing) and enjoy a noodle lunch before boarding the train for the return journey to Suzhou. Round-trip transportation by train, accommodation, the services of a tour manager, entrances where listed and 2 lunches and 2 dinners are included. A minimum of 10 participants is required for the excursion to run. Dates and itineraries of all excursions are tentative and subject to change.